If you need fast heartburn relief there are a few things that you probably have on hand at home that can help enormously. We have all experienced that tight sharp pain that goes with heartburn, and wished we had a heartburn home remedy on hand. What causes heart burn and what's causing the pain? It is interesting that in French, heartburn is translated as "crise de foie." Literally translated "Crise" is "crisis" and "Foie" is "Liver." So what is happening is that your liver is in crisis, and that is what is causing the pain. It has nothing to do with the heart. Unless of course you are mistaking the pain and you are having a heart attack, which can happen. Please note, if the pain is severe do get to the hospital immediately! Heartburn happens when the liver and the gall bladder can not handle the amount of fatty foods and toxins. In general, the Standard American Diet or SAD, wreaks havoc on the liver. The liver is forced to overwork trying to help digest so many processed, packaged and fatty foods. Add to that, all the toxins we are exposed to in our air, food and water on a daily basis, and it is not wonder almost everyone has a liver that is overworked and in need of a detox. The bottom line is, The more healthy the diet and lifestyle, the better your liver can perform and the easier it can handle the excesses without experiencing heartburn. 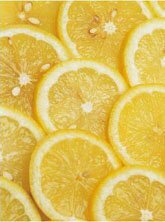 Drink hot water and lemon. The liver loves this. Take a piece of flannel and soak it in either olive oil or castor oil. Place a hot water bottle on top of it and relax for 30 minutes. Remove, Wipe off the oil and repeat for another 30 minutes. Finish with a cold cloth for 15 minutes to help stimulate circulation. Book an online consultation to get a complete evaluation and learn how to do a simple liver detox. There is much you can do for your heartburn home remedy, but as in all ailments, prevention is key.